The Chinese New Year is bringing in huge business in the Middle Kingdom. China’s sci-fi epic “The Wandering Earth” pulled in a massive $96.6 million from three territories, bringing its international tally to $606.8 million. Another movie from the Mainland, “Crazy Alien,” earned $28 million for an overseas total of $318 million, while fellow local title “Pegasus” brought in $25.7 million, taking its bounty to $238 million. Fox’s “Alita: Battle Angel” led films on the Hollywood front, generated $56 million when it launched in 86 overseas markets this weekend. Directed by Robert Rodriguez and produced by James Cameron, the sci-fi adventure has now grossed $94 million internationally. The movie saw the best opening in Russia, where it earned $6.5 million. “Alita” also had sizable debuts in Mexico ($4.2 million), Australia ($2.9 million), and Thailand ($2.5 million). The Wandering Earth is based on a story by Liu Cixin. It is kind of a big deal, the second highest grossing mainland Chinese film ever. 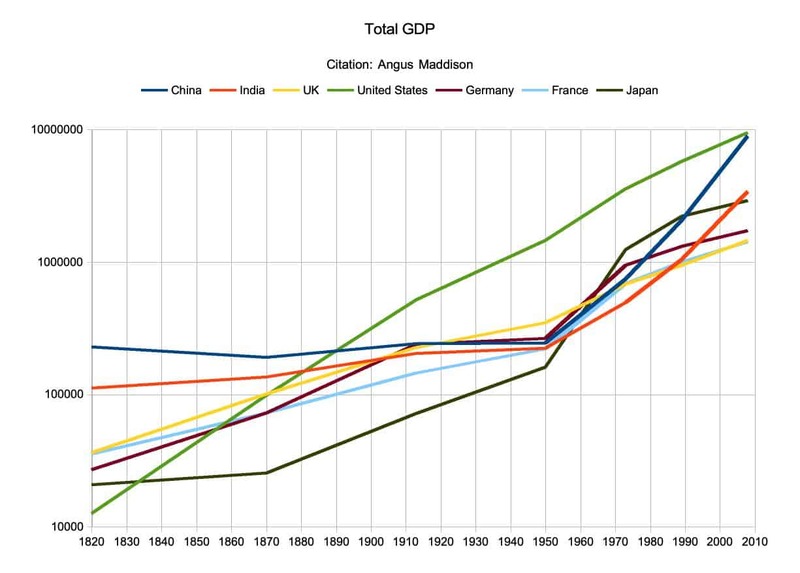 The graph at the top of this post is based on data taken from Angus Maddison’s magisterial Contours of the World Economy. No matter how you calculate it, it does look like the United States of America became the world’s largest economy at some point in the last quarter of the 19th century. The USA has maintained that position for more than one hundred years. This has undergirded the power of the United States of America in the second half of the 20th century in all dimensions. Cultural, geopolitical, and yes, moral. Of course, the size of the economy is not the only thing that matters in relation to influence and power. 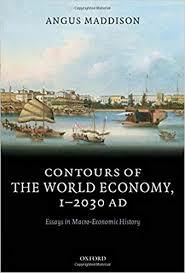 The Chinese economy was very large in the 19th century, but it was not mobilized and deployed in a manner which allowed China to maintain military parity with Western nations, and later Japan. In the years between 1900 and World War I, the powers of Europe remained culturally and geopolitically at the center of the world, despite the fact that the United States of America had surpassed any specific European power economically. 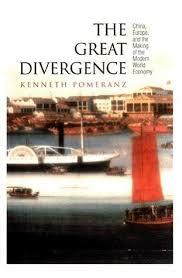 That is, there was a certain “cultural overhang” which was a lagging indicator in relation to economics. The United States during this period was a debtor nation which maintained very small armed forces as it was rising to economic prominence. Culturally it looked to Europe, with homegrown American movements such as Transcendentalism of national, but not international, interest. 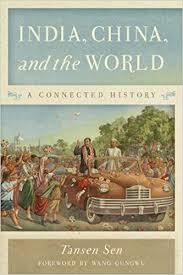 The British retained their self-conception as the world’s hegemon after 1900 due to their colonial Empire, despite the factual reality that the USA and Germany had matched or surpassed them economically. After World War II, the USSR achieved some level of military parity (at least roughly) through mobilization of a disproportionate fraction of its economic resources toward the armed forces. But the USSR never matched the USA in terms of overall economic output or cultural influence. The dissolution of the Communist Bloc after 1990 resulted in the unipolar moment, when the United States of America was unchallenged militarily, geopolitically, and culturally. With the recession of the Japanese economy, the Asian flu of 1998, and American vigor in the second half of the 1990s, the USA was also economically a model for the world again. As someone who grew into manhood in the 1990s, it was an interesting and charmed time. The future was American. Liberal democratic. Market-oriented. The popular culture of the future would be the American popular culture. The specter of Chinese economic might was still something a generation down the road. Fodder for think pieces. But mostly blue-sky. Abstract. Twenty years on from 1999 we are now facing the world we had dim glimmers of then. There is a mix of the expected and unexpected. The expected is the demographic-economic juggernaut of China is now within spitting distance of the United States in terms of nominal GDP. Parts of China are already basically a developed economy. Barring a major catastrophe, which some have predicted every few years since the 1990s, China will become the world’s largest economy by 2030, as it was in 1880. One hundred and thirty years of the USA being the largest economy in the world will end. The period after 2030 is murky. China faces serious demographic headwinds due to the one-child policy. Much of its population will be poor, while coastal areas will be tightly integrated with the rest of the world. The USA will likely remain the wealthiest large nation on a per capita basis for the foreseeable future. China’s preeminence as the largest nation economically will be in the context of much greater parity between it and other big economies, as well as structural factors pointing to its eventual decline. We are not looking to another unipolar, even bipolar (e.g., USA vs. Chinese), world, in the second quarter of the 21st century. Probably the best analogy is the period around 1900 when a mix of cultural, economic, and military proto-superpowers jostled for their time in the sun. 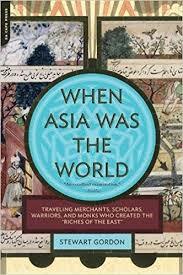 The first modern age of globalization of trade and travel. 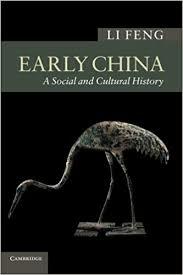 The author of Early China: A Social and Cultural History occasionally engages in asides which analogize his own domain of study to other societies and histories. In the process, he illustrates how China is in some ways nonpareil. When discussing the emergence of philosophical thinking during the Spring and Autumn Period there is a connection made to the same process occurring in India and Greece. 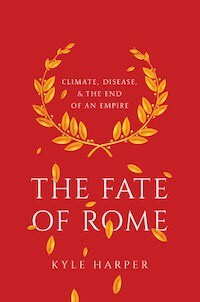 It is suggested that during this period the memories of the older Bronze Age world were fading, and in the chaos, new ideas and strictures were arising. The problem is that in fact there is no analogy between the Chinese recollection of their own past, and that of India and Greece. Homer and Hesiod both lived in the period after the Greek Dark Ages, which lasted from about 1100 to 800 BC. Though the oral history did preserve important fragments of knowledge from the Mycenaean period (e.g., the importance of the Argolid and the distinctive boar’s head helmets), enough was forgotten that the Greeks were not entirely clear that the citadels constructed during the Mycenaean period were in fact constructions of their ancestors. The loss of literacy meant there was no institutional connection to the past, and when Linear B was deciphered most archaeologists were surprised that it was an archaic form of Greek. For India, the connections are even more tenuous and vague. The Mycenaeans seem to have created a synthetic civilization, repurposing Minoan high culture toward their own ends. But, they were also clearly Greek, with many of their gods being the same gods that we recognize from the Classical era. In Early China the author implies that the people of 6th century India may have had some memory of the Indus Valley Civilization. Though it is likely some elements of culture were passed down from that period, no institutional memory seems to have persisted, in large part because of the likely cultural shock of the arrival of Indo-Aryans around 1500 BC. The contrast with China here is strong. 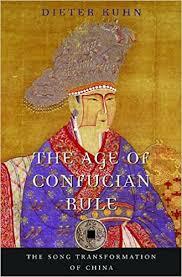 In Early China the author talks about the Doubting Antiquity School, which was skeptical of the veracity of Chinese historical memory before the Qin period 2,300 years ago. Today, due to archaeology, analysis of inscriptions on bronze vessels, as well as the famous oracle bones, it is clear that historians such as Sima Qian had access to cultural memory that went back at least 1,000 years. The Shang dynasty, once thought to be legend, clearly existed. Names of kings retrieved from the oracle bones matche those provided by classical sources, including their sequence of reigns. We know that in 1046 the Zhou defeated the Shang. Because of a planetary alignment anomaly the month and date are even remembered. Which brings us to the Erlitou culture. This archaeological culture flourished in broadly the same region as the Shang dynasty polity, but earlier. 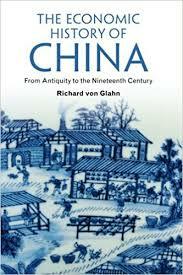 The author of Early China contends that this was likely the Xia dynasty. 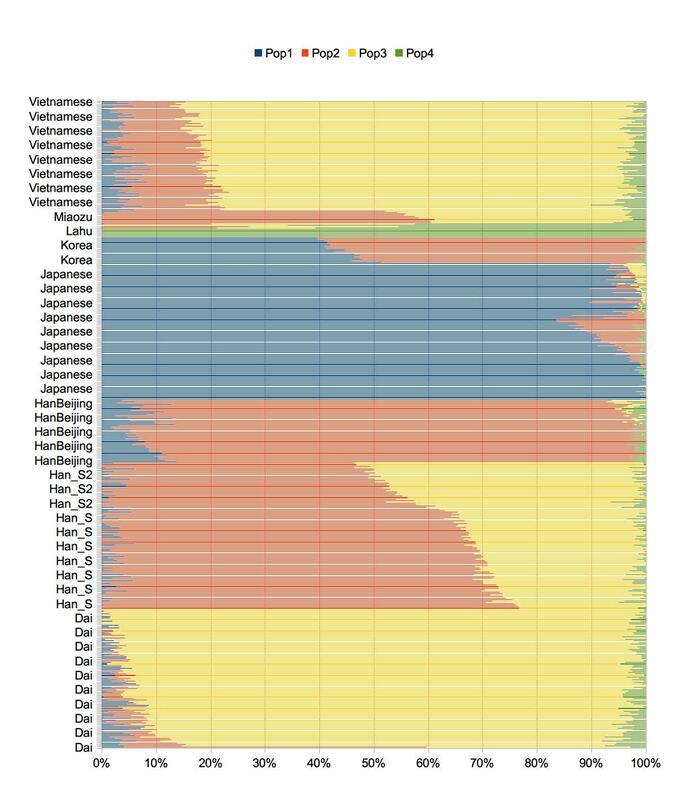 Though we will never be able to validate this in all likelihood, as there are no known forms of writing from this society, we can assume just as with the Shang the legends of the Xia probably have some basis in fact (eventually ancient DNA will accept or reject demographic continuity). Do the northern Chinese have Scythian ancestors? There was some question regarding possible Scythian admixture into the early Zhou below. This is possible because of the Zhou dynasty, arguably the foundational one of Chinese imperial culture (the Shang would have been alien to Han dynasty Chinese, but the Zhou far less so), may have had interactions with Indo-European peoples to their north and west. This has historical precedent as the Tang dynasty emerged from the same milieu 1,500 years later, albeit the Tang were descended from a Turkic tribe, not Indo-Europeans. I looked at some of my samples and divided the Han into a northern and southern cluster based on their position on a cline (removing the majority in between). I also added Lithuanians, Sardinians, Uyghurs, Mongols, and Yakut. As you can see on the PCA the Mongols are two clusters, so I divided them between Mongol and Mongol2. Posted in Historical Population GeneticsTagged China, Scythian5 Comments on Do the northern Chinese have Scythian ancestors? But as made clear in the graphic in The Wall Street Journal, this is to a great extent a regional story. 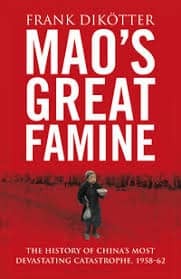 In particular, it is the story of the near eradication of extreme poverty among the ~20% of the world’s population that is Chinese. As the chart makes visible, the “Third World” or the “Global South” or the “Developing World”, whatever you call it, is very economically diverse. Was very economically diverse. In 1990 most of the world’s extreme poor lived in East Asia. Overwhelmingly in China. Outside of Sub-Saharan Africa and South & East Asia extreme poverty, using this definition, was actually not that common. Latin America, the Middle East & North Africa, and the post-Soviet world suffered by comparison to North America and Western Europe. People who traveled widely across the “Third World” knew this. In the 1980s and 1990s one of my uncles was an engineer, and later officer, for an Iranian oil tanker, and so traveled across the Middle East. He eventually wrote a peculiar book on poverty in Bangladesh after he retired, and in it he recounted how clear and distinct the differences in acute poverty were when he compared Iran with his homeland. To give you a different general sense, I pulled the World Bank data and focused on a few large nations of diverse profiles. And, rather than looking at just the % below a very low poverty threshold ($1.90 per day), I increased the threshold ($5.50) and focused on the poverty gap. While the poverty headcount just tells you what % of the population falls below the threshold, the poverty gap is measuring the average distance below the threshold. In other words, it is measuring intensity of poverty. What you can see above is that China went from having the highest poverty gap to the lowest in 25 years. But the story isn’t just about China. Fifteen years ago Vietnam had just as much extreme poverty as Bangladesh, but today it is in the same range as China. In the 1990s we talked a lot about the “Asian Miracle.” But that was minor leagues. The real miracle has occurred in the 21st century. But it wasn’t really a miracle at all. Nations such as Vietnam and China (and earlier Japan and Korea) had relatively high literacy rates, and a tradition of meritocratic advancement, long before contact with European colonialism. Before Communism. With high native human capital resources to begin with, they were poised for lift-off before they ever made it down the runway. My wife happens to know a Chinese man who is now a professor of science at an American Research I University. Because this is someone we know, aspects of his life history have slowly emerged. In short, he grew up in a very poor peasant household in rural China. And not one that had just recently fallen down the class ladder from what we can tell. Today he is a professor doing rigorous science, who has achieved an upper middle class American lifestyle. My horizons may be narrow, but I have never met a South Asian in the United States who has come from an analogous background of such grinding deprivation. I know they exist. But in general South Asian peasants in deep deprivation, the children of landless laborers and the like, do not seem to have the opportunity or expectation that they could become researcher professors in the United States. Finally, Communism. It is strange today, though perhaps not, that much of the younger populace of developed nations are beginning to look with eagerness toward some sort of inchoate socialism. And yet here you have more than a billion who sloughed off the dead hand of command socialism, and in the process eradicated extreme poverty. I understand the qualms about Chinese authoritarianism. I’m well aware that some elements of China’s economic growth are unlikely to be sustainable. Perhaps there will be a correction. Almost certainly there has to be one. But we can’t forget what the very recent past was like. We shouldn’t shrug off the miracle of anti-poverty that has occurred in East Asia. To Americans, and Mexicans as well, 1990 wasn’t a different land. But in the past generation nations like China and Vietnam have transformed themselves in ways that we can’t even imagine. 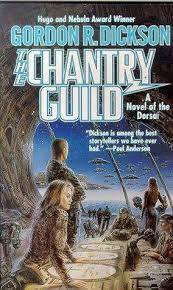 The late Gordon R. Dickson wrote a series of books in a (mostly) future history termed The Childe Cycle. I’ve read a substantial number of the books in this series, and it’s rather uneven. 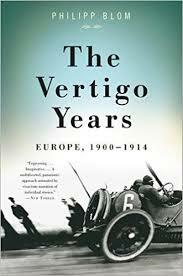 On the whole, I would say that the earlier books are better than the later works. Dickson died before he could complete the series, but I don’t think that’s really that big of a deal, because the books are only loosely connected. I read the novels and short stories of the series all out of order, and it wasn’t a problem. One of the interesting aspects of the universe is that there are separate human cultures/ethnicities that inhabit different planets and specialize in different economic tasks. If you look closely, the system doesn’t make economic sense, but that’s OK, we’re talking a setting for space opera. Of the “splinter cultures,” two of them inhabit planets very close to each other in the same solar system, Newton and Cassida. Newton is home to pure scientists, while Cassida is a world of applied engineers. In Young Bleys it is stated that the engineers of Cassida admire and envy the scientists of Newton. My point in posting about this is to a great extent I imagine that the United States of America will be the “Newton” of our world for a while longer. But, other nations will be will Cassida (you can guess which), and others the Friendlies. I don’t know who the Exotics or Dorsai might be, and the analogy might breakdown there. About 36% of the world’s population are citizens of the Peoples’ Republic of China and the Republic of India. Including the other nations of South Asia (Pakistan, Bangladesh, etc. ), 43% of the population lives in China and/or South Asia. 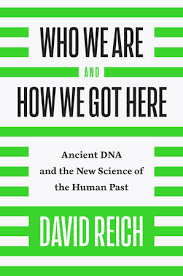 But, as David Reich mentions in Who We Are and How We Got Here China is dominated by one ethnicity, the Han, while India is a constellation of ethnicities. And this is reflected in the genetics. The relatively diversity of India stands in contrast to the homogeneity of China. 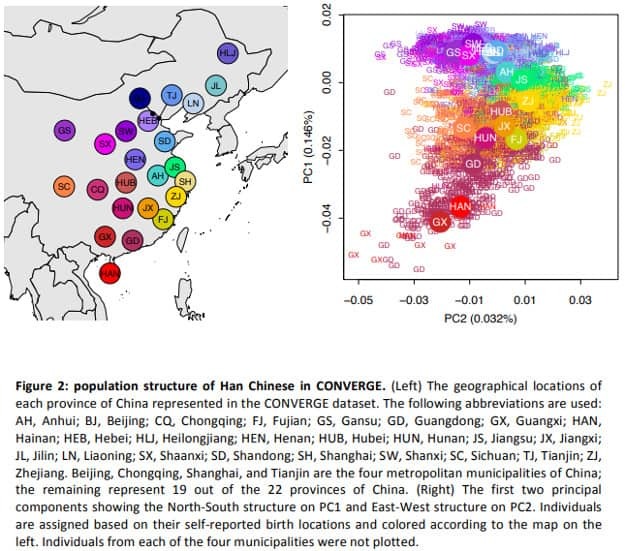 At the current time, the best research on population genetic variation within China is probably the preprint A comprehensive map of genetic variation in the world’s largest ethnic group – Han Chinese. 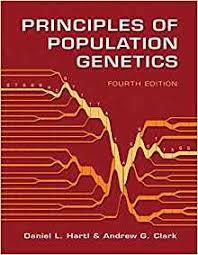 The author used low-coverage sequencing of over 10,000 women to get a huge sample size of variation all across China. The PCA analysis recapitulated earlier work. 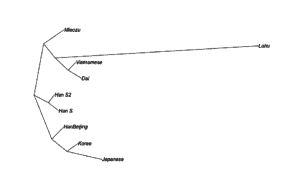 Genetic relatedness among the Han of China is geographically structured. The largest component of variance is north-south, but a smaller component is also east-west. 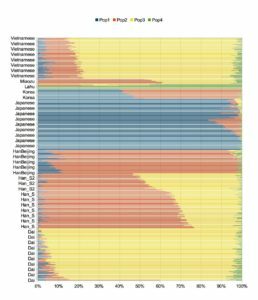 The north-south element explains more than 4.5 times the variance as the east-west. The relationship between China and India is clearly one-sided: India is obsessed with a China which is approaching lift-off toward becoming on the verge of a developed nation within a generation (certain urban areas are already basically developed, albeit not particularly wealthy in comparison to Hong Kong or Singapore). Often when I see interviews with regular Chinese about their opinions of the other country the fixation is upon the manifest Third World nature of India, which seems to be changing much more slowly than their own nation. For me GDP is less important that vital statistics like child mortality or life expectancy. And it is in these sorts of statistics where you see the gap opening up between the two nations. India is developing…. but China is leading, and converging faster with developed nations. 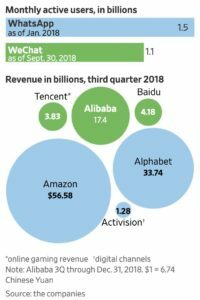 While Amazon.com has sellers hailing from many countries, Mr. Cheris said that India and China are the two most important places for Amazon to recruit new merchants since both nations are sources of cheap manufactured goods. Unlike China, where local companies dominate e-commerce, India is also a huge domestic market for Amazon. Although most of India’s commerce is conducted offline, Indians are coming onto the internet at a rapid clip through their smartphones. Amazon’s chief executive, Jeff Bezos, views India and its 1.3 billion residents as vital to his company’s future, and he has vowed to spend at least $5 billion building up his India operations. a, I was aware that Amazon really hadn’t gotten any traction in the Chinese market. I did not know that Amazon was so competitive in India, though Flipkart is still dominant there. The story outlined seems to be part of a bigger trend whereby India is on a very different path from China in its relationship to the rest of the world. China’s economy is big enough and insular enough that it sees the world as either an export market or a source of commodities. It is quickly taking back its place of old as a lumbering hegemon. India, in contrast, seems to be developing a more integrative relationship with large economies such as the United States, despite its command and regulatory economy legacy. Of course, the India-USA relationship is nothing like “Chimerica” in terms of magnitude, but the Sino-American relationship strikes me as very transactional. Despite the recent tendency of Indian society to espouse a stronger Hindu nationalist line, which is at odds with the West, it seems that there is more cultural exchange between elite Indians and Western societies in the deep sense of values, than has occurred with the Chinese and the West. And, yoga and aspects of spirituality notwithstanding, most of the cultural exchange seems to be toward cosmopolitan elites Indians assimilating to global values which draw from the mode of the West. Ultimately all of this seems to have geopolitical implications. I’m assuming smarter people than me are keeping track of these trends…. 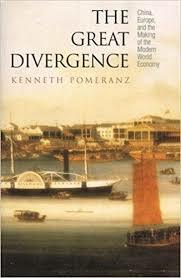 In Kenneth Pomeranz’s The Great Divergence: China, Europe, and the Making of the Modern World Economy he argues that the difference in per capita economic wealth between Europe and China is a relatively recent phenomenon. One of the major arguments he makes is that one has to make an apples-to-apples comparison. Comparing Northwest Europe to China is not apples-to-apples, but comparing Northwest Europe to the lower Yangzi Delta region of Central China is apples-to-apples. Using this measure Europe and China are roughly comparable up until 1800. At least that’s the argument. Others make the case for much deeper and older roots for the differences between Western Europe and the rest of the world, most articulately in Gregory Clark’s A Farewell to Alms. I don’t have a dog in this fight and am not decided, though I follow the field somewhat closely. Rather, I’ve always been curious about differences between Chinese regions, and how they never undermine national unity. I recall reading years ago in The Age of Confucian Rule that imperial examinations to determine candidates for the bureaucracy had quotas on candidates from the southeastern province of Fujian. They were simply filling up too many slots, at the expense of northern Chinese candidates. The tension between social and economic orientations of different regions of China cropped up periodically. Basically, the Overseas Chinese community is derived from southern regions such as Guangdong and Fujian, the central government over the centuries attempted to stamp out these regions’ propensity toward international commerce. A figure like Howqua is typical, though he certainly would not be met with approval by stern Neo-Confucians such as Zhu Xi (also a southern Chinese born and bred). Yao Zhenhua 8.4 billion conglomerate Guangdong ? Zhang Zhidong 8.4 billion internet media Guangdong ? Zheijang-Jiangsu-Shangai is the core economic region highlighted by Pomeranz. About 12% of China’s population resides in these jurisdictions, but 35%, 7 out of 20, of its 20 wealthiest individuals were born here. Guangdong, as ground zero of the new economic revolution has clearly benefited.